The Department of Tourism, spearheaded by Secretary Ramon "Mon" Jimenez, has just launched today the new campaign line to boost the tourism industry in the country. As a great start for 2012, the campaign aims to get tens of millions of tourists by 2016. 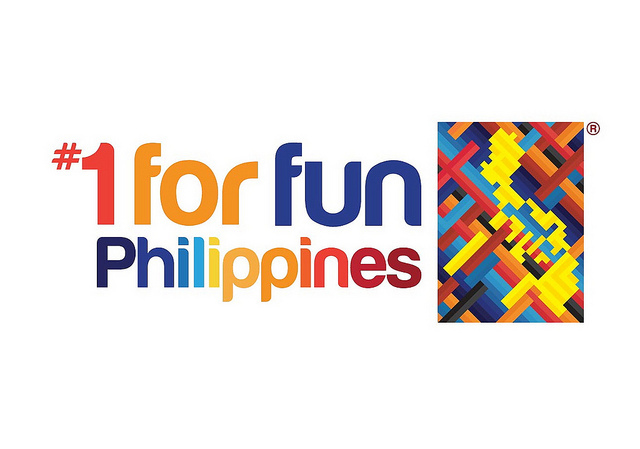 Developed by BBDO Guerrero, the slogan is It's More Fun In The Philippines. The campaign aims to answer the question "Why Philippines?" or "Bakit Pilipinas"? The new tourism line is a campaign for people who haven't seen the #Philippines. The new tourism line is not a manufactured line; it's drawn from the way Filipinos have touched the lives of tourists. What do the netizens say about the slogan? Check out the It's More Fun In the Philippines website. What do you think of the new slogan? Let us know through the comments. Start creating your own memes! 29 Responses to "New DOT Tourism Slogan and Logo: It's More Fun in the Philippines"
Pawis man at mainit, enjoy padin ikutin ang Maynila.. especially pag kasama ang buong barkada! Enjoyed this post, I miss Manila ..
Great post! Proud to be Pinoy. It's fun to travel in the Philippines. Just a tip when you want to travel, plan ahead of time. We from CleverBuy wants you to experience a guaranteed air seats and accommodation on December for Coron and Boracay. Grab our deal now! This is a great campaign for the Philippines tourism hopes. It really highlights the fun parts to visit and experience when you go to the Philippines. Principal description is just how perfectly the computer animated WWE2K18 personalities makinged this video game extra incredible. So there you have it, currently you have actually Xxzhushou if your gadgets was rooted after that excellent. Since a very long amount of time, it has actually existed serving its clients. "www.mybkexperience.com " Burger King now boasts over outlets in more than countries worldwide.